Not many TV shows were finished as perfectly as The UK Office. 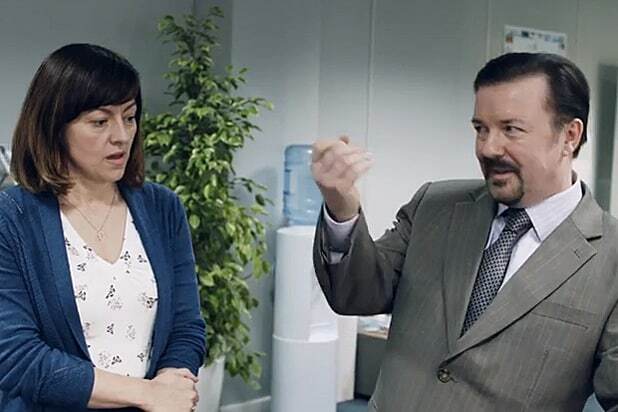 After two seasons and one Christmas special it wrapped up the ongoing story (most importantly the fate of Tim and Dawn) and managed to give Ricky Gervais’ David Brent a small glimmer of hope for the rest of the life the audience wouldn’t see. It worked and many people were satisfied with it’s conclusion. That means that bringing David Brent back to the screens is a bold move. It could well tarnish the memory, souring what has gone before or could build upon the great sitcom, delivering another worthy chapter in the story. Although it doesn’t tarnish the character or the legacy of The Office, is doesn’t quite live up to the show either. 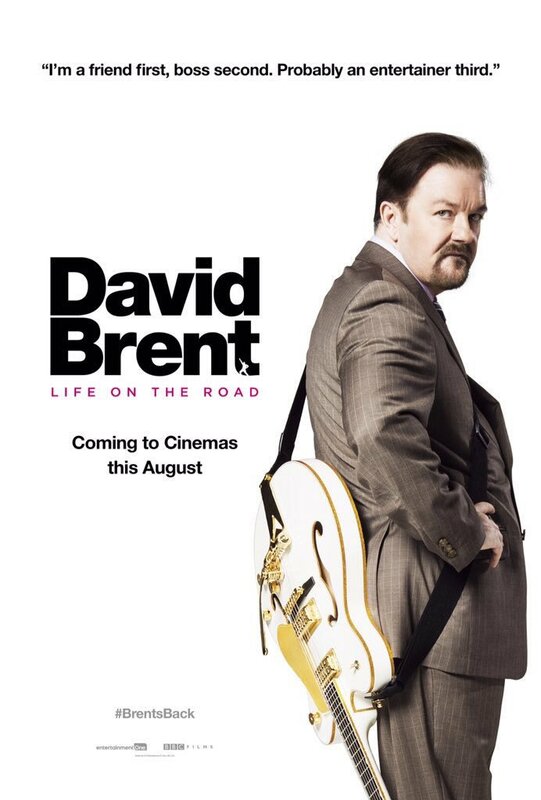 The one element you want from a David Brent movie is comedy. The film has to be funny and in places and at times, Life on the Road is very funny. It doesn’t sustain it though. It isn’t funny enough. Many people can recall and repeat their favourite David Brent Office moments and many have gone down in sitcom history but there isn’t such a stand-out scene or moment here. It has the usual Brent cringe-moments and the character is never too far away from the wrong word or ridiculous action but it also lacks the original edge the show had. It is a shame because the story itself is a very good one. David Brent is attempting to become a “rock-star” with one last, roll-of-the-dice tour. It is costing him money, valuable time and means that his failings and lack of talent are exposed. There is plenty of material here to use and although Ricky Gervais’ writing does utilise some of it, never to it’s full potential. Nostalgia goes a long way to plugging that humour gap though. Seeing new David Brent stories and scenes is great. 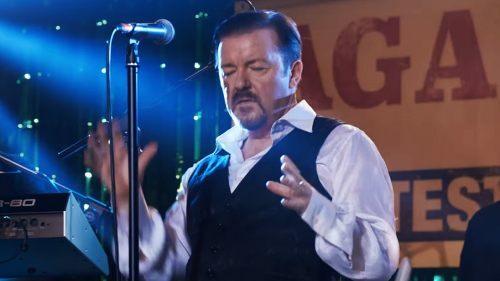 Gervais has never played a character as well as he plays Brent and he seems to slip right back into the role perfectly. All the mannerisms, intonation and ridiculous comments return and it is like seeing an old friend again. Brent is the only Office character to return, which makes sense, although the show isn’t without it’s successful co-stars. There is a new sidekick to Brent in Nigel Martin played by Tom Bennett, while a potential love interest begins to arise in Jo Hartley’s Pauline Gray. The best addition is undoubtedly Dom, the young rapper that Brent has befriended. The interactions between Ricky Gervais and Doc Brown’s rapper are some of the best in the movie and it is also the story of that friendship too. In fact, like the very best of The Office, there is a heartfelt story at the middle of the movie. As much as Brent is embarrassing and constantly making the audience cringe, he is kindhearted and you want him to do well. Gervais attempts some form of redemption for his character but unfortunately it feels slightly forced and too “tagged-on.” The better story is of Doc Brown’s Dom, who gets a resolution to his story which develops naturally and makes sense. Overall, Life on the Road is a good catch-up with one of British sitcom’s best characters but doesn’t live up to the show which created him. There is a good story at the center but it is never as funny or memorable as the previous actions of the character. Add to this a heartfelt story which doesn’t ring true and you have a forgettable chapter in story of David Brent. Did we need another chapter in this story? Skipped this one because I never got into the show. Would I have enjoyed it without the nostalgia? Next Next post: Which is better? – The UK or US Office?